The winner of our sketch challenge for October, is Mzule, aka Misha. 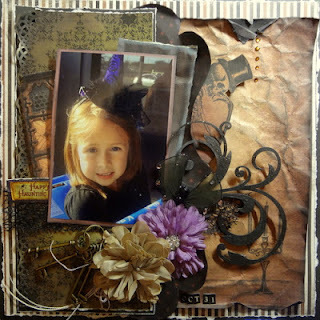 Mish created this gorgeous layout using the AWESOME Morticia's wish kit. What a cute little witch!!!! you have Misha! Congrats girl stunning layout and so sweetly spooky!! Thanks for stopping by and dont forget, get your entries in for the November sketch challenge, using the Gorgeous November kit Karma! Mish, this is just beautiful, Congrats! !